Greetings programs! I'm "Agent 82", or just "82". (82 stands for 1982, the year Tron came out. Yes, this was the best Tron themed name I could come up with. I know my name doesn't have to be Tron themed, but I wanted it to be). I'm new to the world of Tron, as I only just became a fan in May 2012. Tron and Tron Legacy are two of my favorite movies, and I love to play Tron 2.0 and sometimes Tron Evolution (PS3. I have never been online though. Maybe someday). I got into Tron through Tron Uprising, which I checked out because I remembered I wanted to see Tron Legacy in theaters but unfortunately didn't get to. Besides Tron, I like to play video games such as Sonic the Hedgehog, The Sims, and Roller Coaster Tycoon. So, I'm Agent 82 and I can't wait to get started discussing the world of TRON! I'm Custom Command Prompt, or CUPRO. I'm a BATCH file, and I enjoy gaming. I'm an animation enthusiast from Malaysia and an avid Tron fan. Would very much love to join this group and see where this'll take me. I'm a fan of the Tron world and soundtrack. I've known about this site for years but only recently decided I should join. Needless to say I'm a huge fan. 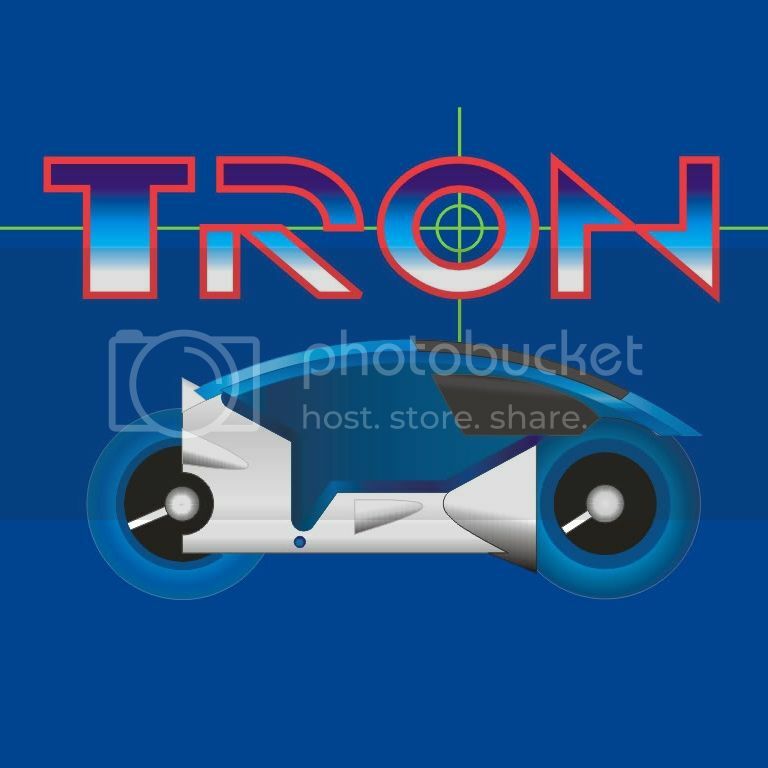 Saw TRON in the movie theatre up by my parent's cottage in Haliburton, Ontario, Canada, when I was 6 years old in 1982 and still remember it to this day (along with all the cereal promotional toys that came out along with it in 1982 too - hey I was 6!). My main job now is writing music for most television advertising these days in Toronto, but I'm trying to move toward feature films and games. I had some downtime between ad gigs and decided I'd take a stab a writing a score for the famous 1982 Lightcycle sequence from the original TRON, which, as we all know, doesn't feature a Wendy Carlos cue. It was a great idea because I could use the original sound effects and dialogue, mixed in with my new original piece of action music. Anyway, I really wanted to share it with the group! Please let me know how you like it! I intentionally didn't make it sound like a Carlos piece (not that I could do her brilliance justice) so it's a little bit influenced by James Horner, maybe some Alan Silvestri and my own sort of Hollywood hybrid style, of mixing traditional orchestral elements with more modern synthesizers and sound design elements. The one thing I did want to convey was this classic summer movie of the 80s kind of feel that I think is lacking in a lot of modern summer blockbusters. So a big soaring 'hero theme' was a must! My name is Harrycanyon1982, i'm from Albuquerque NM and im 33. My interests are sci-fi, ladies, horror, sports, fantasy, reading, traveling, comics/graphic novels, art, museums, zoos, animation, crystals even meditation traveling, bars, conventions, fun and all that. Been a fan of this movie for 29 years since i was 4 when i saw it on video. Looks like the Disney police took your song down. Any other way to hear it? A New member wants to say hello. "Ivy" is the Name of my own program that I have in a Tron RPG with a friend. Looks like no one is really interested im New members.. Hello!! How are you?? flynn1978 here! I've been a member for a while, and I've been watching the original TRON since I was a kid! I enjoyed TRON in the arcade, and really like TRON 2.0 for the PC! It's nice you joined!! Greetings, program!! Ivy Wrote:Looks like no one is really interested im New members..
Greetings, Program. RenegadeProgram.exe here. I've been in the sector for awhile, but haven't popped in here alot lately. May you enjoy your stay. Welcome! Thank you for the nice Welcome, Programs! Ivy Wrote:Thank you for the nice Welcome, Programs!